How Does Trucking Insurance Work? This covers you from any losses resulting from any truck and vehicle accidents. This covers damages on your vehicle and injuries inflicted on persons. This is required in states and federal agencies. This covers you from losses arising from any liability that a third party might file a claim for as a result of injuries or damage of goods from your trucking services. This protects your business and your trucks against bad events like collision, explosion, theft, fire, vandalism, flood, earthquakes, and more. You should make sure that inevitable events like these will not take its toll on your financial statements. 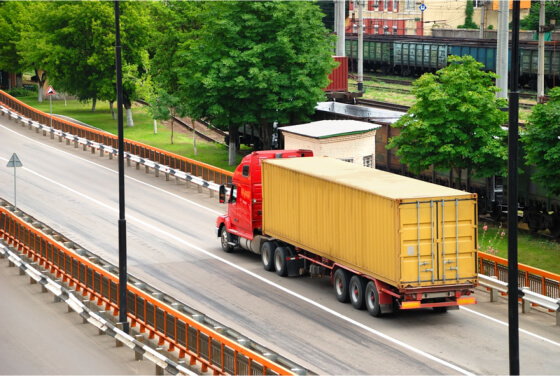 If your trucking business is responsible for cargo transportation, you need to get motor truck cargo insurance. This covers you from potential losses in case of damaged or lost freight. Now, when we talk about insurance, there is always the concern about premiums. Are the insurance premiums affordable and worth the benefits of the policy? Well, the amount of your premium can vary depending on the nature of your trucking business and the quality of trucks you have. You can opt for monthly premiums or annual premiums depending on your business needs. Before you invest in trucking insurance, make sure to talk to our experts. We can give you advice on the most appropriate insurance plans to invest your money on. If you are looking for quality insurance plans for your trucking business, talk to us at Rapid Documents Insurance Agency! We make sure your business is on track despite any untoward events. Since 2000, Rapid Documents Insurance Agency has been a top trucking insurance agency in Downey CA that offers affordable and quality Local Trucking Insurance and Truck Physical Damage Insurance. Our premium rates are one of the lowest in the state! We help you plan today so you have nothing to worry about when anything bad happens in the future! Talk to our staff today to get a quote. We hope to hear from you soon! This entry was posted in Trucking Business and tagged Insurance Agency, Insurance Services, Trucking, Trucking Insurance. Bookmark the permalink.